Chef’s Log 73: Risk it for this Biscuit | The Spoon From Outer Space. I have already extolled the virtues of the famed éclair that has been mastered by one ‘Jila Bakery,’ in Goa. The last time I visited this so-called bakery, I was struck by the ingenious nature of its disguise. To the average human being (unlike a certain alien with superlative deductive faculties), this bakery appears as nothing more than an ordinary house in plain view, flanked by similar structures in a typical Goan village setting. Clearly the makers of this dangerously delicious dessert have realized the immense potential and power that they hold in their hands and are taking appropriate measures to remain hidden. I wholeheartedly approve. While I am a lifelong fan of the éclair, and would wear a hat, t-shirt or any other merchandise in support of it (I still do not understand why humans choose to support sports teams instead of culinary items in this fashion), I recently had the chance to sample some of the bakery’s other goods. But first, a brief word on the éclair again, because yes, it is that good. From the very first bite, the soft, ever so slightly spongy pastry gives way to a luxuriously creamy and silky custard, while the carefully proportioned chocolate icing lends it the subtlest hint of sweetness. Decadent and comforting all at once, it is in a class of its own. Now, onto the rest. The melting moments biscuits truly live up to their name. They are sweet, crisp and as light as a cloud, with just a light tinge of caramelisation. They made me reminisce about a dessert on my home planet, which would melt your tongue as soon as it was placed in your mouth. Given that our tongues grow back immediately, I assume this particular dessert wouldn’t be as popular on Earth. 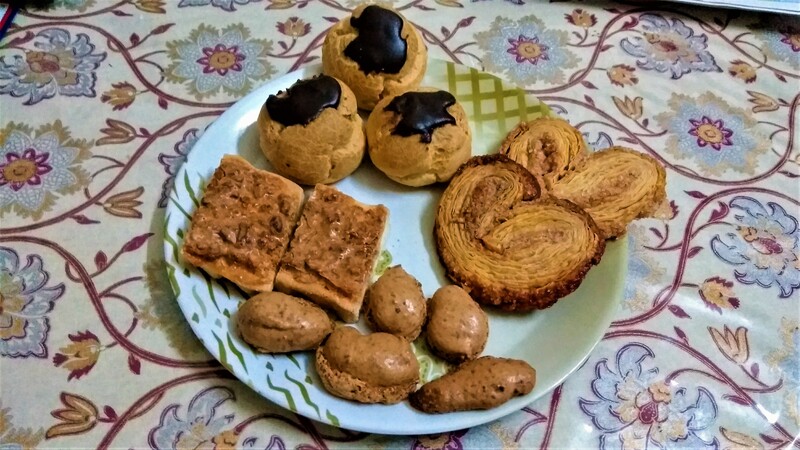 The angel/fan biscuits were a crunchy, flaky and sticky blend of sugary goodness, while the cashewnut pastry made for a rich, crispy yet gooey experience. I never thought I’d say this, but my favourite éclair might have a contender: the melting moments. Who am I kidding? I’ll just eat it all.